As the weather starts to get colder, it is very important to keep warm. Cold weather can have a number of negative effects on your health. It can make heart and respiratory conditions worse, as well as making joint pains and skin conditions harder to cope with. 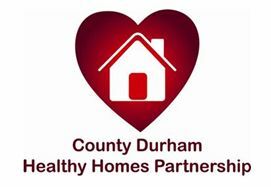 The County Durham Healthy Homes Partnership (CDHHP) was set up to tackle the effects of cold weather on health. The partnership is made up of a number of organisations including: NHS County Durham, the Energy Saving Trust, Durham County Council, Welfare Rights, Durham and Darlington Fire and Rescue, Age Concern, and the Durham Dales GP Led Commissioning Consortium. Through the work of the partnership, we deliver a scheme that can offer you energy advice, information on heating and insulation schemes, a benefit entitlement check, a fire safety check, and any other help that we are able to provide. Recently, through the County Durham Healthy Homes Partnership, we have managed to help 14 households in Trimdon. The project has already made a massive difference to people’s lives in the area. We sometimes receive thank you cards from clients or their families. One local client wrote to us and said: “The difference in this system is beyond words and description! It has revolutionized my life – no cold rooms, hot water whenever I want, and more to the point, I have less pain in my shoulders. Looking back, I must have been hunching up against the cold in bed.” For this lady, like many others in the Trimdon area, her referral to us has improved her health and changed her life. Our overall aim is to improve health and wellbeing in your area, and allow people to maintain independence and dignity, through living in warmer, safer homes. Get in touch to warm your home and change your life. To be referred to us, ask your GP, nurse or social care worker to fill in a referral card. Alternatively, you can phone the Energy Saving Trust on 0800 512012.